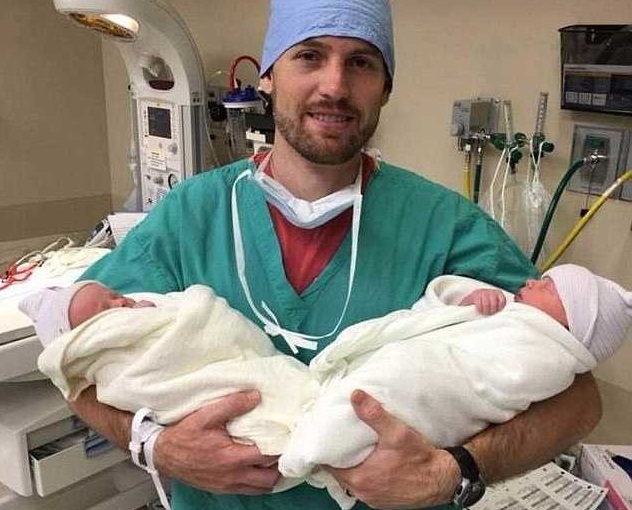 CHAPEL HILL, N.C. — A worship leader in North Carolina who lost both of his sons two years ago in a car crash welcomed twin boys with his wife on Monday. Gentry Eddings of Forest Lake Church in Ballantyne and his wife Hadley named their newborn sons Isaiah Dobbs and Amos Reed in honor of their older brothers Dobbs and Reed. Isaiah weighed 6.9lbs and Amos weighed 6.4lbs. As previously reported, in May 2015, the Eddings traveled to Gentry’s sister’s wedding where he officiated over the service. As they returned home the following day, Gentry traveled separately from his wife in a caravan of four family vehicles. Hadley, eight months pregnant, rode with the couple’s two-year-old son Dobbs. However, as the vehicles came to a stop at a red light in the town of Hempstead, the box truck behind them slammed into the back of Gentry’s vehicle, who was riding in the last vehicle of the caravan. The impact pushed Gentry’s car off to the right, and then struck Hadley’s vehicle, smashing the rear where Dobbs was riding in his car seat. As the baby suffered bleeding on the brain, he was flown to another hospital for pediatric medical attention. He had improved for a time, but days later, Reed died as well. Matthew Deans, 28, who was driving the box truck, was soon charged with misdemeanor death by a vehicle and failure to reduce speed. Police state that Deans explained to them that he tried to brake, but his brakes weren’t working. He served one year and three months in prison and was released in November. The Eddings told those gathered at the memorial service for their children that they had forgiven Deans and urged others to forgive as well. In January, the couple announced following an ultrasound that the Lord had blessed them with twin boys.